Home » Articles » Is Broker Zoomtrader a Scam? Is Broker Zoomtrader a Scam? Broker Zoomtrader is still a greatly debated topic that is proved by the numerous questions we receive on this matter. That’s why it’s not a bad idea to remind you, how it is really is. Zoomtrader is a binary options broker that was founded in 2012 and is based in Cyprus. All brokers based in Cyprus, however, must be subjected to regulations and therefore be fair with their clients. The zoomtrader staff didn’t really like it, because they like cheating and robbing people, so they moved their headquarters to the Carribean, where CySec regulations aren’t necessary. Zoomtrader has been working, from its beginnings, for example in Czech republic and to suit its costumers, he also offered Czech language. 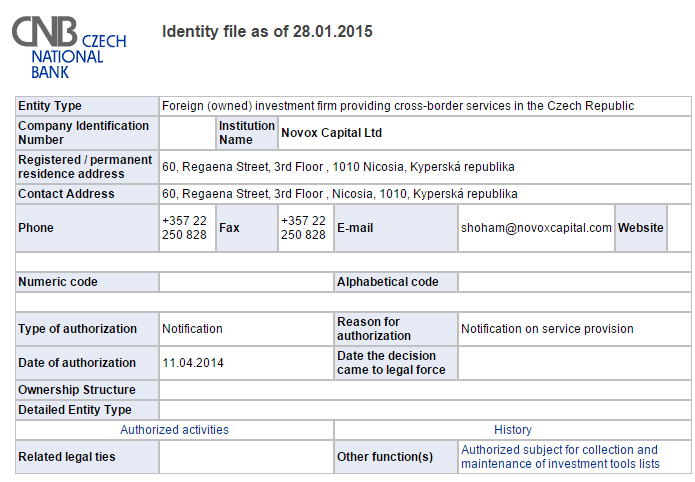 Czech national bank has issued a warning against their activities in 2012. 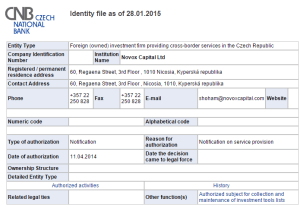 Zoomtrader could correct their offences to be regulated by Czech national bank again, but in the end, it didn’t happen. Which is why they shouldn’t be accepting Czech clients anymore. Although Zoomtrader issued a list of all possible regulatory authorities (source), but it’s all fake. In reality, neither zoomtrader, nor their company Zoomtrader Ltd. are regulated by most of them. Click, for example, on the Czech republic’ flag and you’ll be directed to this website (picture on the right). That’s a nice document stating regulations, but the catch is that it’s not a zoomtrader that’s regulated, but another company – Novox Capital Ltd.
After a bit of a research on the internet we’ve found out that it’s a company that has nothing to do with zoomtrader. It sponsors only brokers OptionBIT and OptionXP , who aren’t also very famous for their activities. Last year CySec has even issued a fine of $15.000 to Zoomtrader for not having a licence and still operating in the European Union. 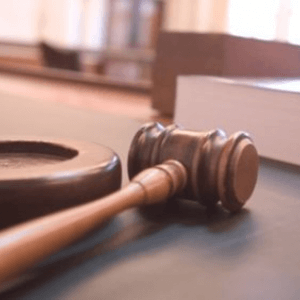 According to the law only CySec regulated brokers can offer binary options trading. Company Zoomtrader Ltd. has in the end ended up not that bad, taking into an account that penalty for this type of a violation is usually 20x higher, around $350.000. For as long as I’ve been interested in binary options, I’ve heard only one good thing about them and it was from a young lady that has been swearing that she earns thousands of dollars with this broker. Of course, we don’t completely believe it, given the fact that she suddenly published her zoomtrader sponsorship code, which makes zoomtrader pay her money if people lose their money when referred by her. Therefore, we believe that she has only been a part of their marketing department or something. Quite too often I come across an article or a comment on the internet, where they talk about how they completely stopped paying off their clients’ money. Another illegal practice of zoomtrader’s is the way they handle clients who have deposited their money. We are talking about bonuses that a client hasn’t asked for. The reason is that after the client needs to trade it over several time, before being able to withdraw them back. We are talking about high amounts of money. Have you ever traded with the broker Zoomtrader? What were your experiences? Make sure to leave us a comment, so others can also make up their minds. Thanks!